Utilize initialized conditions around the globe to formulate medium and long range forecasts for the contiguous United States. 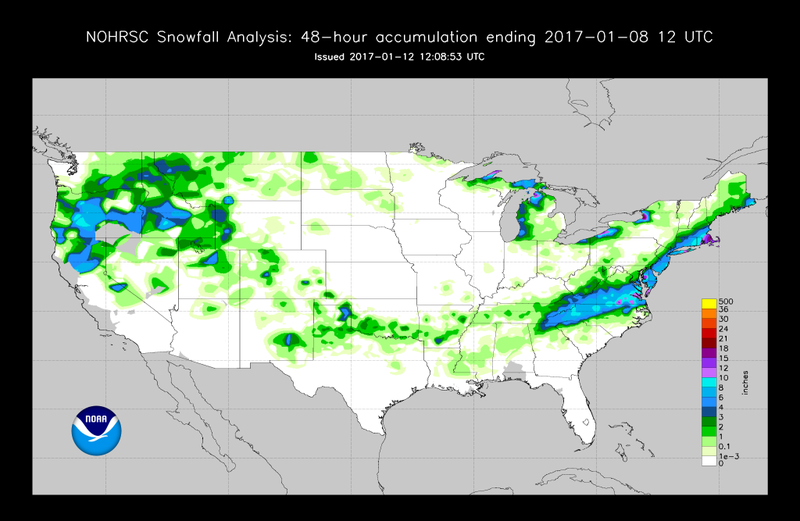 This blog acts as a journal of ongoing research, analysis, and forecasting based on the Organic Forecasting Method. To start off the January verification, I will bring up how in mid-December a former coworker of mine requested a favor from me. He was taking his RV from Central Missouri to Florida during the first week of January. Bud was actually worried about snow and ice on the way there. I looked at the #bsr maps and told him that he needed to be concerned about severe weather from the Lower Mississippi Valley into the Gulf Coast during the first 3 days of January. The BSR depiction of those days. January 1st...note the developing low pressure with the 'x' between Shreveport and Lake Charles, LA. This overlay was created on December 16th. The 96hr map created on December 11th was our first 'official' hit via a system moving into Western Texas. January 2nd map shows SW-WSW flow evident from Texas into the Mid-Atlantic region. Here are the surface and 500mb OBS maps. January 1st surface map shows two low pressures in the Deep South connected via a stationary front and then connected to a trailing cold front off the East Coast. The 500mb chart shows two upper level lows, ULL's, one in the Pacific Northwest and one in the Southwest. The ULL over Hudson Bay is associated with the occluded system over the Missouri River Valley on the BSR. January 2nd has a stationary front stretching across the Deep South into the Southeast and multiple lows in the West. Even though the BSR January 2nd map didn't have the low pressures, it did have multiple troughs. These are shown via the dashed orange lines. The 500mb map still has the trough focused out West and the Southeast Ridge, SER, is stout. BSR map didn't depict this well because the Northern ULL isn't far enough North. January 3rd shows that there is a lot of 'noise' in our OBS map. A strong storm in Minnesota, an occluded low off of Cape May, NJ with another over Louisville, KY. The BSR depicted this map very well in my opinion. Zonal West-East flow across the Southern states with ridging along the East Coast, mixed with our persistent trough over the West. The actual severe weather reports for January 2nd shows 43 tornado, 246 wind, and 6 hail. January 4th BSR depiction has a weakening system in the Great Lakes, and strong occluded system in the Northeast, and another one moving into the Tennessee Valley (keep this one in mind). This finally "bleeds" the trough to the East after being stuck in the West for days. January 4th OBS has the dying system over the Canadian Providence of Quebec, the strong occluded system in the Gulf of Maine, and a storm system trying to develop in New Mexico. Winter Storm Helena, or the 'Dark Night Blizzard II' as named in the Accuweather.com forums, is our next interest. I am going to show a few of the earlier maps because they gave hints of the pattern to come per a Southern Stream system moving along the Gulf and making 'the turn' inside the benchmark of 40/70. This benchmark is the latitude/longitude marker that gives a good deal of those in the Northeast a decent sized snowstorm. It's obvious that different areas of the Northeast have different 'benchmarks', but the most well known is the 40/70. Southern slider that does well for Southern MidAtl from WV to Southern Jersey. That being said...it's from the 5th-7th for them and on the 7th it goes inside the 40/70 benchmark with less gusto. EDIT: [i][b]Do not[/b][/i] change the dates again. Along with something I told a fellow submariner who lives on Long Island. January 8th has the system exiting off of the Nova Scotia coast. The BSR had it just moving into Nova Scotia on the 8th. While the upper air pattern had a trough focused from Ottawa, Canada straight South into North Carolina. The BSR map had a closed low situated on top of Cape Cod, Massachusetts. Here are the 48 hour snowfall totals from the NWS. Our next system that will be highlighted is 'Winter Storm Jupiter'. The BSR maps start on January 11th to show the flow pattern. At this time, Josh and I noticed that our data catch wasn't updating correctly due to a code issue and so our lag time wasn't being calculated correctly. Note the noise over the Great Lakes and Ohio Valley. This was stagnant cold air being left behind from earlier. Then, a warm front was being shown over powering the cold air with Southwest flow ahead of it. Tale-tale sign of an ice storm forming. 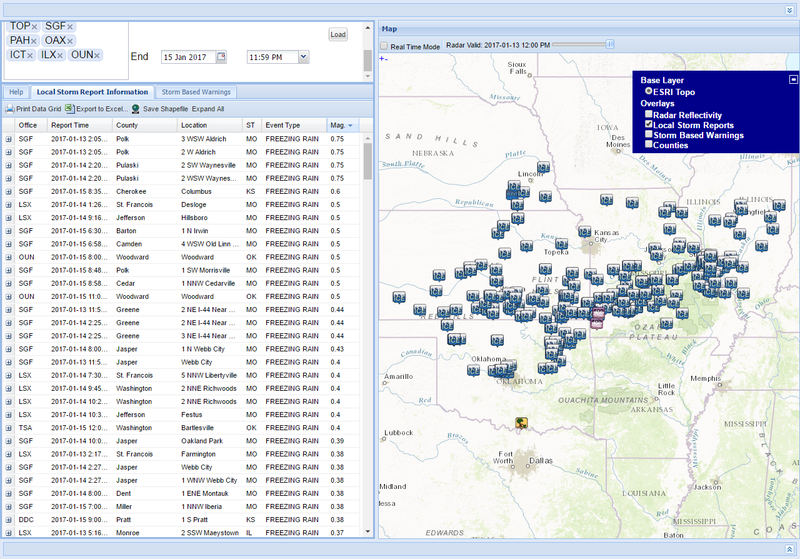 Here are the various storm reports with .75" of ice in Waynesville, MO being the highest. This from Accuweather combines multiple tweets about the storm. The BSR suffered greatly and shown via our 3 Day Rate of Change, ROC. The Central correlation point suffered the worse while the Great Lakes is doing the best for January. Yes, the Northeast is 'technically' the lowest score, but it was dismal during November, so there is plenty of ground to catch up with. Joseph S. Renken, Joshua J. Herman, Travis Bradshaw, and Anthony R. Lupo - Bering Sea Rule. Simple theme. Powered by Blogger.